The latest on Jonathan Huberdeau and Jeff Skinner plus updates on the Lightning, Predators, and Golden Knights in today’s NHL rumor mill. 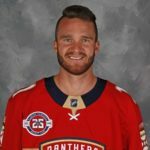 COULD THE PANTHERS PART WITH HUBERDEAU? TSN: Noting speculation tying the Florida Panthers to Columbus Blue Jackets winger Artemi Panarin and goaltender Sergei Bobrovsky, Frank Seravalli wondered if they might offer up left wing Jonathan Huberdeau in a package deal. It’s believed the Jackets want a return that keeps them in the playoff race while adding future assets. Huberdeau, 25, is at a nearly point-per-game pace this season (52 points in 54 games) and is signed through 2022-23 with a reasonable $5.9-million annual average value. His no-movement clause kicks in on July 1. To pull this off, Seravalli believes the key might be allowing Panthers general manager Dale Tallon to speak with agent Paul Theofanus, who represents Panarin and Bobrovsky, regarding new contracts for his two clients. TVA SPORTS: Renaud Lavoie claimed a source informed him Huberdeau wasn’t available. “What I’ve been told today – and take a deep breath – is that it’s not on the market,” he said. SPECTOR’S NOTE: Landing someone like Huberdeau in a package deal would certainly attract the interest of Blue Jackets GM Jarmo Kekalainen. However, that depends on Tallon’s willingness to part with him. Huberdeau’s steadily developed into a quality playmaking winger and is on pace for a career-high 80 points. If Tallon is considering moving Huberdeau in a blockbuster deal to acquired Panarin and perhaps Bobrovsky, he needs assurances he can re-sign the duo. Trading away his best winger for two players who could depart in July would be a huge embarrassment. If Tallon can’t get them to do a sign-and-trade or “trade-and-sign” scenario, this deal shouldn’t be made. Better to keep Huberdeau and wait until this summer to pursue Bobrovsky and Panarin via free agency. WHAT DO THE LIGHTNING NEED? THE ATHLETIC/TAMPA BAY TIMES: With the trade deadline approaching, Joe Smith and Diane C. Nearhos examine the Tampa Bay Lightning’s needs and what they might do to address them. Both agree the club doesn’t really need anything, pointing to their dominance in the standings, their deep and healthy forward lines and defense, their solid goaltending plus their strong special teams. Smith suggests perhaps adding a right-side defenseman given the turnover on the blueline expected this summer with Anton Stralman, Braydon Coburn, and Dan Girardi slated to become UFAs. He also proposes perhaps upgrading at fourth-line center though it’s not a priority with Cedric Paquette playing well in that role. Smith and Nearhos both suggest perhaps the Lightning could use a physical forward. Smith listed Philadelphia’s Wayne Simmonds and Carolina’s Micheal Ferland as possible options while Nearhos cited a recent TSN report indicating the Lightning may have inquired about the two. Both note the Lightning aren’t able to use their first- or second-round picks as trade bait because they owe a conditional second-rounder to the New York Rangers. SPECTOR’S NOTE: The Lightning can afford to pursue a rental player if they wish. Considering how well they’ve played this season they don’t have to do anything. Still, it wouldn’t be surprising if they went after a depth rental forward or blueliner as insurance for the postseason. Maybe they add Simmonds or Ferland but the asking price for Simmonds could be too expensive. The Hurricanes supposedly wanted a first-round pick for Ferland, who they might retain now that they’re in the playoff chase. WILL THE PREDATORS MAKE A BIG DEADLINE DEAL? THE HOCKEY NEWS: Matt Larkin believes the Nashville Predators need to go all-in at this year’s trade deadline. With their rivals more competitive and the rental market robust, this could be their best opportunity to make a big move that bolsters their Stanley Cup hopes this season. While Columbus winger Artemi Panarin would be the big catch, the best fit could be Ottawa’s Mark Stone, who’d provide invaluable two-way skill at right wing. Larkin notes Predators GM David Poile has parted with his first-round pick for stretch-run acquisitions in the past. THE TENNESSEAN: In a recent mailbag segment, Paul Skrbina doesn’t expect the Predators to pull off a Panarin-type deal though he can see them at least looking into it. Asked about the possibility of Poile acquiring Panarin straight up for top prospect Eeli Tolvanen, Skrbina believes the Blue Jackets asking price would be much higher. He points out they “don’t have a ton of assets that aren’t already on the roster.” Skrbina suggests a more realistic option could be Anaheim Ducks winger Jakub Silfverberg or New York Rangers winger Chris Kreider. SPECTOR’S NOTE: Poile has a history of making big moves in-season to boost his roster. He’s already made a couple of recent depth moves by adding forwards Brian Boyle and Cody McLeod and I don’t think he’s done dealing. Maybe he’ll pull off a blockbuster that lands Panarin or Stone but I can see him also considering more affordable rental options. Kreider has a year left on his contract and wouldn’t be a rental but I don’t see the Rangers parting with him. LAS VEGAS REVIEW-JOURNAL: David Schoen reports Vegas Golden Knights GM George McPhee is said to be working the phones as the trade deadline nears. However, McPhee said he’s in no rush to make move. Without any glaring roster issues this season, NHL Network’s Brian Lawton tells Schoen he believes the Golden Knights GM is more likely to add depth rather than go “big-game hunting” at the deadline. He feels McPhee might want to shore up the right defense and the backup goalie positions. Schoen points out the Golden Knights have over $16 million in salary-cap space, giving them plenty of room if they want to pursue a rental such as Ottawa’s Mark Stone or Philadelphia’s Wayne Simmonds. Washington’s Andre Burakovsky could be a more affordable option. SPECTOR’S NOTE: McPhee said his inclination is not to take on a rental player. That might make Burakovsky, a restricted free agent who was drafted by McPhee during his tenure as Capitals GM, a more enticing option but he won’t address that need for a backup and a right-side blueliner. NICHOLS ON HOCKEY: Speaking on Calgary’s Sportsnet 960, Elliotte Friedman said he thinks the Buffalo Sabres are willing to risk going past the trade deadline without a contract extension for pending UFA winger Jeff Skinner. He feels the Sabres will take that chance in hopes of negotiating a contract extension before July 1. Meanwhile, TSN’s Pierre LeBrun reminded everyone Skinner’s no-movement/no-trade clause carried over with his move to the Sabres, meaning the winger still has full control over the situation. Unless he demands a trade, LeBrun feels Skinner won’t be part of the trade deadline coverage. Not sure why Jeff Skinner’s situation doesn’t generate more trade rumours. Yes, he has the no trade clause but, if there’s no contract signed at this point, surely the Sabres are listening to offers from contenders. He’s a good trade chip and can always circle back to Buffalo in the summer. Its to bad that the Oilers and Sabres have not struck a deal ..I would love to see McDavid and Skinner 2 elite skaters play together …not to mention how that would be beneficial to the Oilers all together …McDavid needs a skating style scorer and Skinner would be great addition. There are virtually no assets the Oilers would be willing to part with that make a deal for Skinner with the Sabres make any sense. The Oilers aren’t in position to give up assets for a UFA. Oilers don’t have the cap room either. Hard enough time fitting Sekera on the team after recovering from injury. What would the Oilers even offer? A bust in Puljiaarvi? The package for Skinner would start with a 1st, 2nd and Yamaato and a roster player. Also Oilers are a bottom 6 team in the entire NHL. The Sabres are a top 16 team 2 points out of playoffs.There’s absolutely no reason for Buffalo to make that deal unless Skinner says he wants to test free agency. It’s due to Skinner being happy in Buffalo and the Sabres owner has 5 Billion dollars and doesn’t have any problems spending it. He will front load a contract to Skinner with most of cash in first two years. Unless Skinner is crazy asking for 9.5-10 million I’m sure he will be back. Obviously some draft picks, prospects, and salary retention would have to be thrown in to spice things up a bit. I would think in this deal, Florida would want a little more. In this deal, Columbus sheds Bobrovsky’s salary to allow them to take some back in Kovalchuk and Quick. Florida gets Carter who has a reasonable contract with a few years left, and they get their shot at Panarin. The Kings get Huberdeau and maybe they sign Bobrovsky, but probably not. I don’t think Columbus would want anything to do with Kovalchuk and two more seasons. Columbus is third in their division, this must be tricky waters for them, do you keep the two and go on a playoff. If they can make a trade like mentioned above for Huberdeau then it could be worthwhile. Credit to the GM if he knows they won’t stay and willing to trade them to build for the future. Most teams wouldn’t because they would feel its the wrong message for the fan base. In this case might be the right message. I dont see anything else Columbus can do …..Panarin has stated that he is going UFA…this has plunged his value as Keko has no strength at the table.. the Jackets need to gather assets or they will end up watching him walk for nothing and the Jackets are in no position to move into the future gathering no assets for this player. The Islanders have done very well without Tavares …if they had gathered some assets for him last deadline it would have helped them along even further in the organization ..the Jackets have to look at this situation and capitalize! Nashville has been stated as a contender for Panarin …I think Toilvenen would go the other way and Nashville could give him up and still be a juggernaut for years ..but the Jackets will have to add in a usable asset. Possible Tiolvenen and Turris in a broader deal for Panarin and Jenner and a pick …swapping Centers …and Nashville gets rid of Turris money and picks up a guy at half price who plays more hard nose playoff hockey ! So Columbus gives up the 2 best players in the deal for the 2 worst in the deal? Not happening. Panarin wingman for MATTHEWS. Why would the Kings even think about taking on Bobrovsky? If you’re trading Quick, you have two goaltenders who have proven they can do the job in Campbell and Peterson. Why bring in a player with a poor attitude who won’t play? If you wanted to do Quick to Columbus, Panarin to Florida and Huberdeau to LA that’s fine. But why exactly would Florida even pick up the phone from Columbus when they could have Panarin in the off season and keep Huberdeau? Bobrovsky is a UFA after the season. The Kings would just be taking salary back from Columbus. If jackets could get Huberdeau for Panarin – they would have by now, or will be shortly. Great contract to boot, great player. Exactly. CBJ would trade Bob+Panarin for the younger+signed Huberdeau. I don’t think Kreider will be available, and the way this line is performing, I’d think twice about trading Zuccarello. Dont you think that Zuccs is a rental only and would circle back to the Rangers in the off season anyways …would you not want an asset and also the option to bargain come July 1st as opposed to having him on the team now..are you saying that you see the Rangers as a Cup contender this year enough to keep and possibly watch him walk ….if you were to sign Zuccs what would your market price offer be …not a HOME TOWN DISCOUNT and could you live with the term??? I definitely would prefer they trade him as a rental and bring him back. No way do I see NY as a playoff team. And even if they were it would be one and out. I think if NY decided to bring him back, I’d like to see a 2 year deal in the 4 million range. Rangers need to lose. If Zuc goes and the 1st line loses some success so be it. If I were GM, I would have one unbreakable rule. Unless you’re a legacy player (see Steve Yzerman or Joe Sakic) and we have a handshake agreement, you’re getting traded at the draft prior to the final year of your contract if you’re not signed, ESPECIALLY if you’re a contender. Once you get to January or February and you’re well positioned for the playoffs, you as GM have lost all of your advantage. If you trade the player and fall short in the playoffs, you’re the goat. If you don’t trade the player and he walks, you’re the goat. And aside from all of that, it creates constant drama for months. Will Panarin be re-signed? Will he be traded? Ridiculous. Sign by the draft or goodbye. The game got too fast for him plus he’s signed through 2021-22 with an annual average value of $4.625 million. Would you give the same analysis/response regarding Zaitsev?? Leaf fans sure don’t like him! This article explains a lot of his issues. good article , in today’s NHL we are seeing more and more smaller d men under 6 foot, they are mobile and quick. Not that may years ago the most coveted d men were bigger, robust players. Sign of the times, today’s NHL is quicker and younger. Alzner will likely get bought out at some point. say it again, Sam. Pastrnak injury isn’t a good thing but lets see what we have with less then 2 weeks before the trade deadline. Time for other to shine or not, maybe increase trade value. I prefer Boston to have the 1st wildcard spot then any other position. That’s a vote of confidence isn’t it. out 2 weeks to recover from surgery on thumb seems wishful thinking, he may come back but not 100% and it may take weeks before he is able to feel comfortable shooting the puck. I don’t watch the Rangers often but the 4-1 win over the Leafs a few nights ago disguised how few shots on net they had and how many they allowed Toronto to take. Other than the top line, everyone else seemed rather slow. Just curious if they trade what limited assets they have left where are they headed? Rebuild or middle of the pack team going nowhere? It’s a rebuild. And they’re far from slow. Chytl, Buchnevich, Fast, Howden (who’s out) , etc are pretty speedy players. I wouldn’t call their prospects “limited”. They have 5-1st round draft picks in the last 2 years. 4 of them aren’t in the NHL. They’ve acquired a few others, Deangelo, Howden, etc. they have one of the best goalie prospects on the planet…. This is a young rebuilding team who are probably playing better than most ( including myself) expected. They’re exactly one year into a rebuild. What should people expect? An 8-3 victory over the Leafs? Here is a crazy out of left field question. If Canada put 2 full teams in the next World Cup and they were placed in opposite brackets so they couldn’t play each other until the finals what are the odds that they wouldn’t be the 2 teams playing for the gold medal? This is a question that popped into a circle of friends over the weekend and is a damn good question. That is taking the best 26 forwards, 14 Dmen and 6 goalies and building 2 equal contenders. And then playing them both against the best the world has to offer. I think it’s a real possibility although 25 years ago it would be a forgone conclusion. Why on earth would they allow Canada to double down in this tournament? It’s a bit of a far fetched idea to be honest. aside from Cap Friendly here is another site that provides a good breakdown of cap hits in the future.